OMINOUS — We believe this was part of the supercell that would produce the tornado that hit Mayflower and Vilonia, Ark. We had a rough night last night. The tornado that struck Mayflower and Vilonia formed within 5 miles of our house. Please keep the victims of last night’s storms in your prayers. They are needed. Scarlet tanager singing his three-part song from the top of an oak tree. Could’ve been an entry in last week’s WordPress Photo Challenge, but ran out of time to post. Love seeing this fellow in our green canopy. 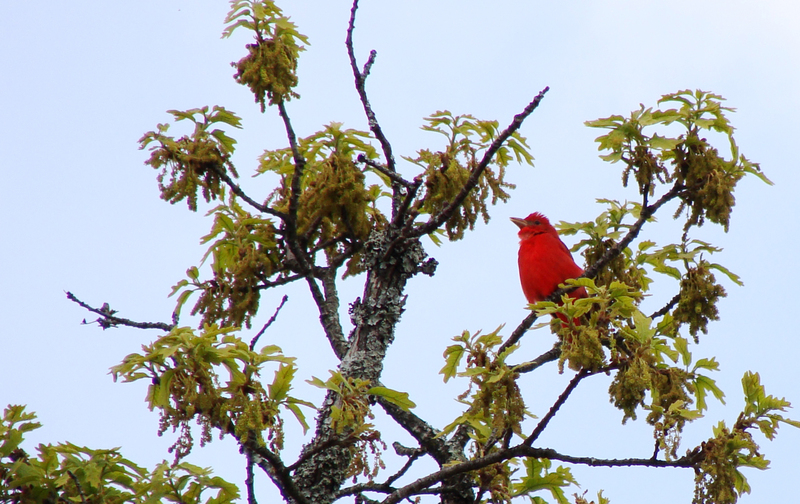 REALLY RED — Summer Tanager’s plumage stands out against the new foliage and catkins of this oak tree. 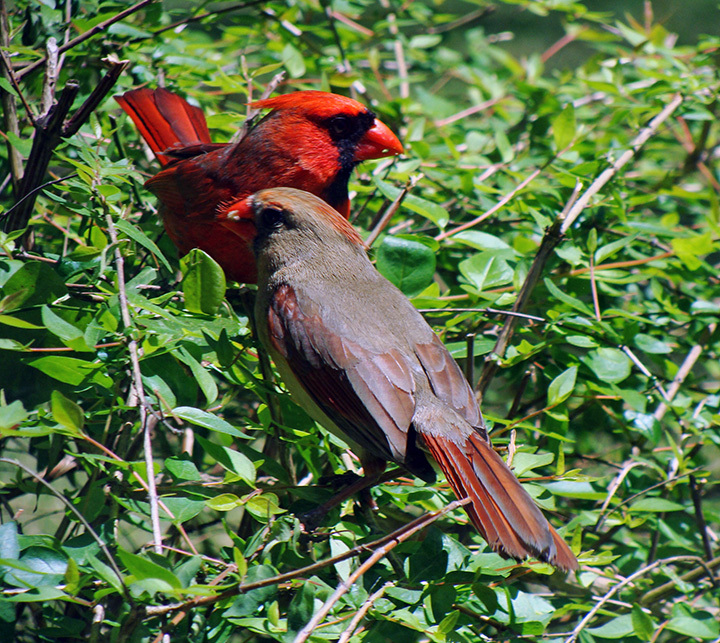 A cardinal pair meets in the bush just outside my office window on a sunny Friday afternoon. Mrs. Cardinal often makes visits to her reflection in the window. COUPLE — Mr. and Mrs. Cardinal convene on a shrub next t the office. 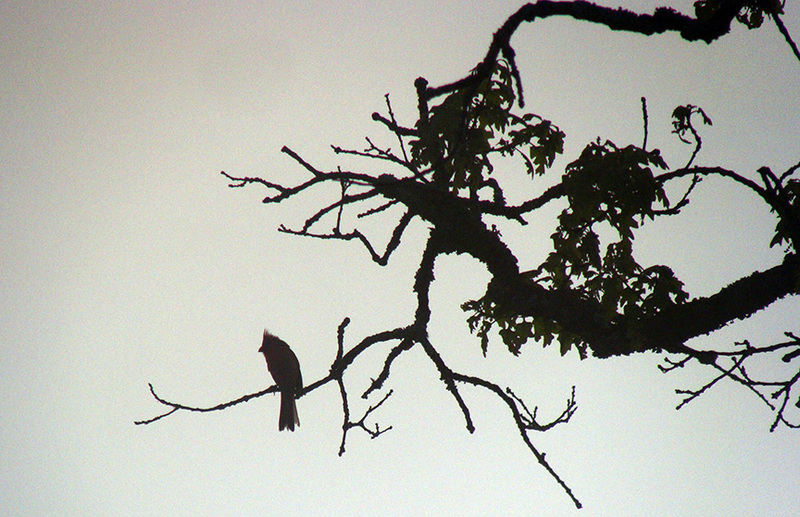 Cardinal surveys his domain on a misty Monday morning. MORNING PATROL — Cardinal gains the high ground. 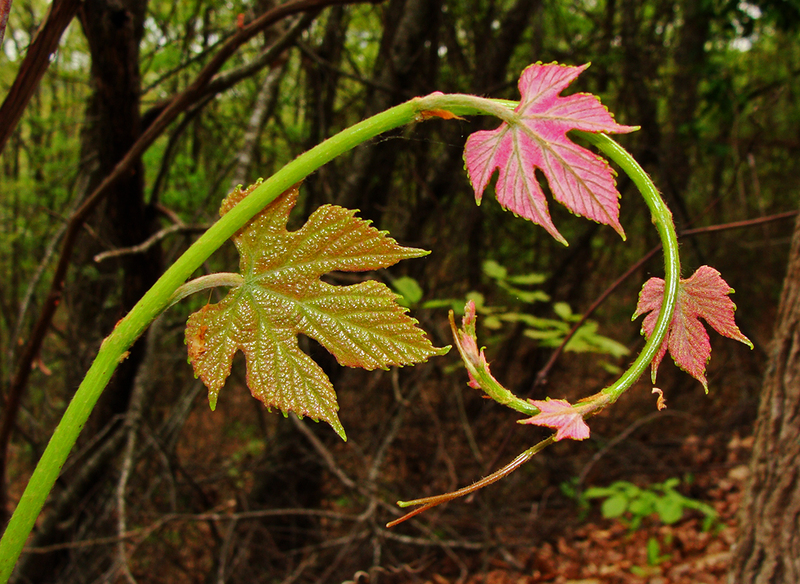 I love the shape of grape leaves — deeply lobed, with lovely curves and points and essential to the beautiful fruit they will eventually help create. They are especially beautiful in their youth — blushing, satiny and untouched by disfiguring phylloxera or other pests. CURVACEOUS — Young tendril curves on itself. 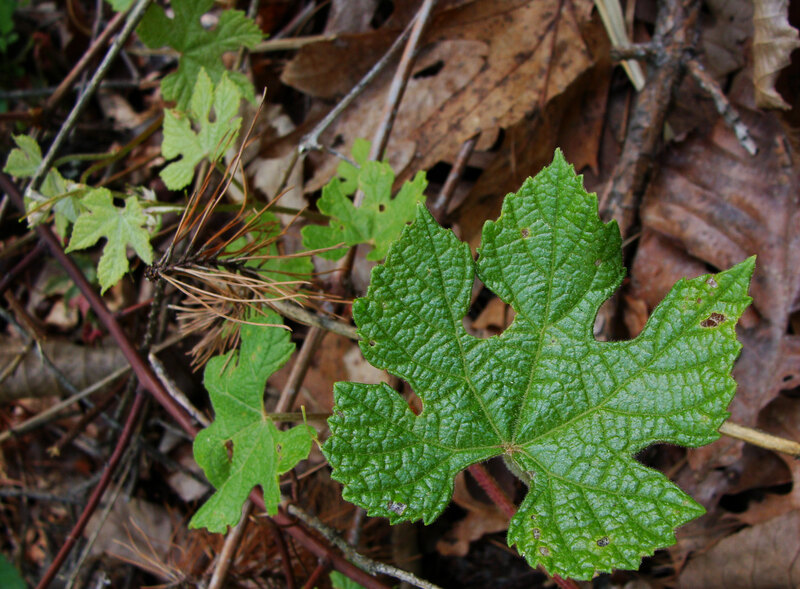 LEAFING OUT — Young grape leaves along the ground. 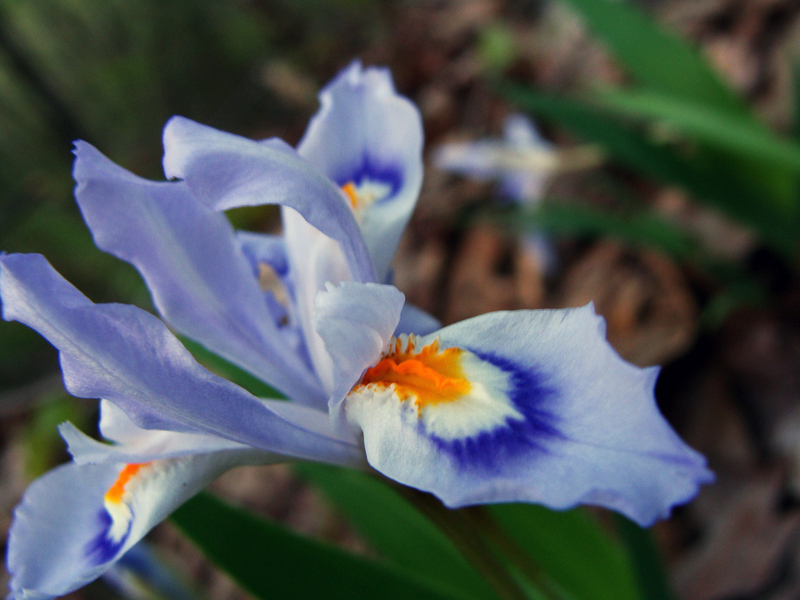 Blooming of the crested iris is a moment I look forward to every spring. Last year, they bloomed midweek and by the time the weekend, and my first opportunity to shoot arrived, the delicate blooms were spent. 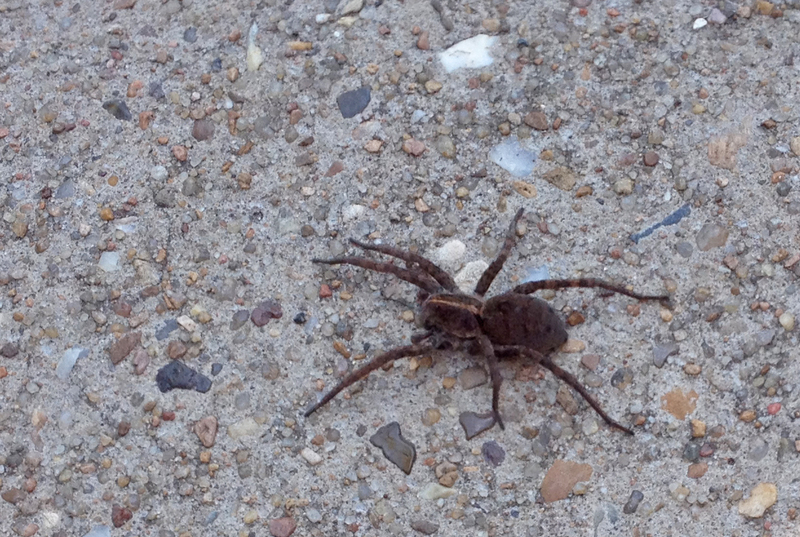 Not so this year — we saw them on the way home this evening. 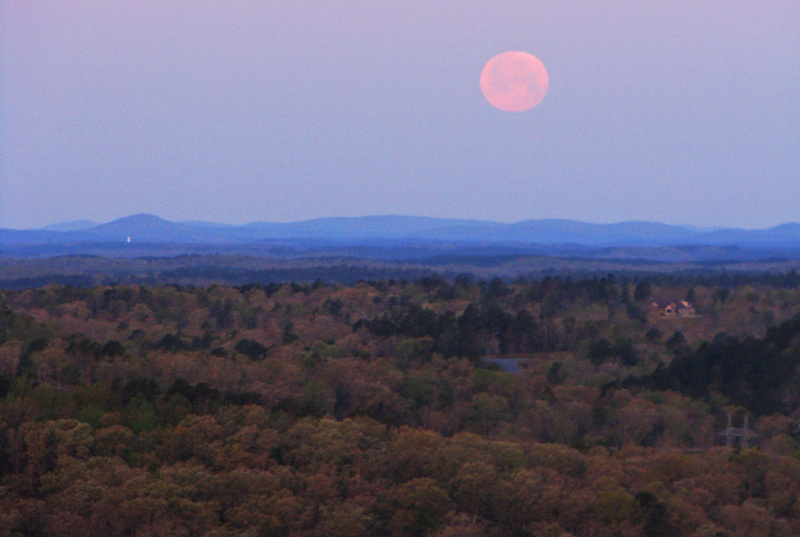 Once home, threw on a pair of sneakers and ran down the hill with camera in hand. Handholding longish exposures in the fading light was a challenge, but well worth the effort. 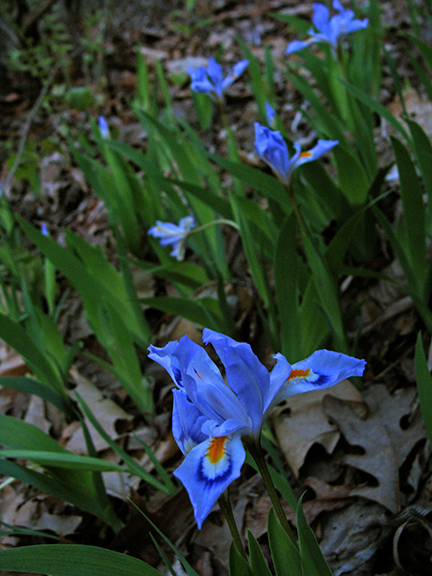 Crested Iris in the woods this evening. Hummingbird season has started here in central Arkansas, but sadly, we have lost one of our regular visitors, probably due an crash with our living room window. 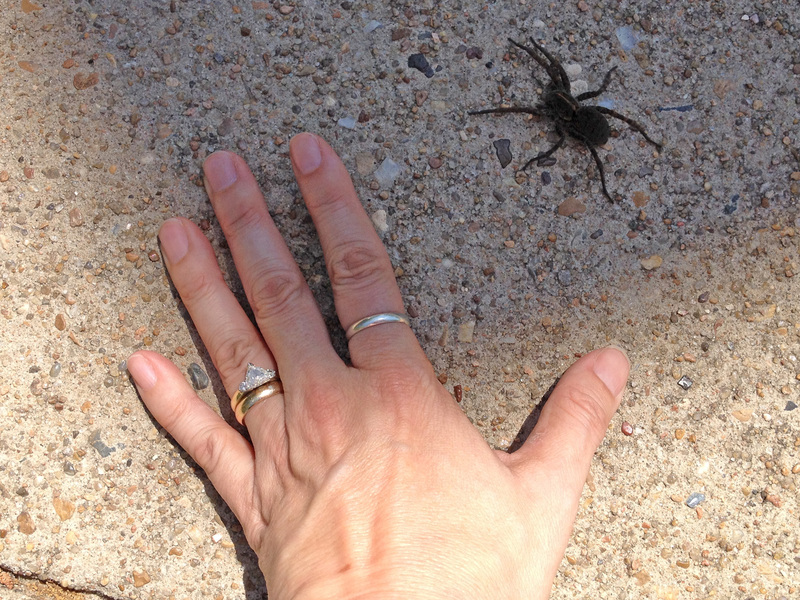 Finding him on the sidewalk presented a rare opportunity to take a closer look at one of these incredible birds. The iridescent plumage was almost unreal — like metal. RIP Napoleon II. 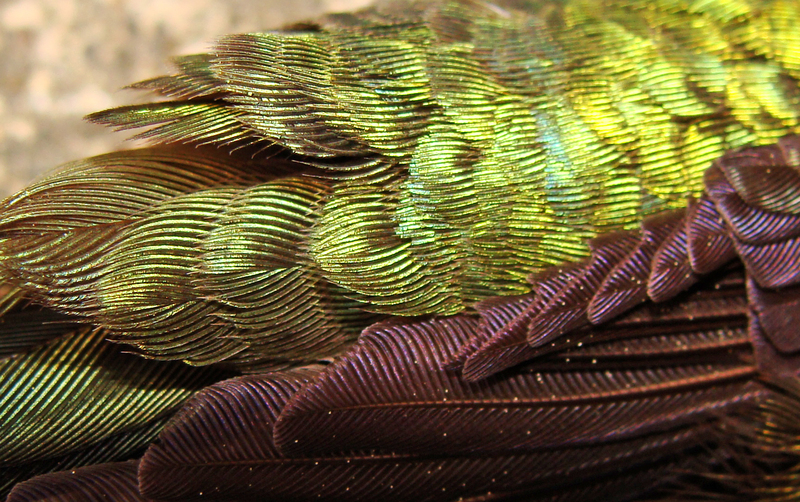 FEATHERS — Closeup of ruby throated hummingbird feathers.